Honey bees have a vital role to play in sustaining the global food supply. Knowing why honey bees are important to the planet can help policymakers make decisions about addressing the potential threats facing honey bees. Crops vary in terms of their reliance on animal pollination in general and honey bee pollination in particular. According to the American Beekeeping Federation (ABF), almonds essentially wouldn't exist without honey bee pollination, and the reliance of cherries and blueberries on honeybees is almost 90 percent. The ABF states that sustaining the almonds produced in California requires over one million managed bee colonies annually. According to Professor Keith S. Delaplane from the University of Georgia, many sources exaggerate the importance of bee pollination in maintaining global food supplies, particularly those that claim that the extinction of honey bees would lead to mass human extinction. Delaplane says that analyses of crop data that span 40 years estimate that 75 percent of global crops are aided by animal pollination, but of these, only 10 percent completely rely on animal pollinators like the honey bee. Delaplane says one factor that is making honey bee pollination even more important is the shift in global eating patterns: the consumption of the specific crops that require honey bee pollination is steadily rising. The increase in the global population in general has made the food supply more vulnerable, meaning even slight disruptions could affect people on a broad scale. While the decline in honey bee populations is not an existential risk for humanity, it is still becoming a crisis. The eco-services that any species provides are important to consider. According to BBC Business and economics reporter Nick Holland, bees may contribute 200 million Euros annually to the economy of the United Kingdom. The ABF estimates that managed honey bee colonies yield 14.6 billion dollars, in terms of their effects on crop yields and quality. Holland says that there are areas in China where human workers are being hired to manually pollinate pear trees using feather dusters. He reports that an apple produced in this manner would cost more than twice as much as apples produced using honey bee pollination, and having human workers stand in for bees would be very inefficient. Trying to essentially replace bees would be horribly expensive for everyone involved, if it were even possible. Researchers are currently investigating the potential medical value of bee venom. According to WebMD, people that are naturally allergic to bee stings may be able to alleviate some of their symptoms by receiving supervised doses through bee venom immunotherapy. The American Academy of Allergy Asthma & Immunology states that immunotherapy treatments are "very effective". WebMD says that people also claim that bee venom may be useful in addressing multiple sclerosis or arthritis, although at present, the scientific evidence for the effectiveness of these treatments is limited. A clinical trial is planned to study venom's pain-relieving qualities in people afflicted with osteoarthritis, according to the U.S. National Institutes of Health. It is possible that researchers will find new medical applications for honey bee venom in the future. Decreases in the population of honey bees are getting worse throughout the world. The United Nation News Centre (UNNC) reports that managed bee colonies have shown signs of being threatened since the 1960s, but the situation started getting markedly worse in 1998. The UNNC reports that United States, Japan, Belgium, China, Italy, France, Spain, Germany, the Netherlands, and Egypt have all experienced problems with their local bee populations. The Pesticide Action Network partly attributes the decline in honey bee populations to environmental pesticides. 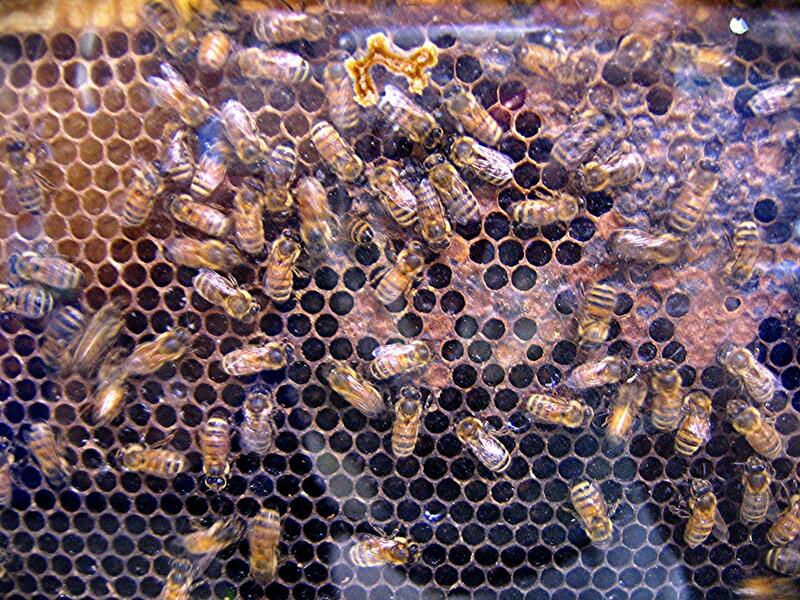 The UNNC posits that invasive species, such as the Asian hornet in Europe and the Africanized bee in America, may also be threatening local honey bee populations. Globalization is also unintentionally promoting the spread of the parasites and fungal pathogens that threaten bee colonies, according to the UNNC. The current problem with honey bee populations is one of the many unintended consequences of a number of other major environmental problems. While the risks associated with the loss of honey bees are exaggerated in some circles, it's important not to underestimate the economic and ecological importance of honey bees. Without a stable population of honey bees, maintaining a strong and varied food supply for an ever-increasing number of people is going to prove more challenging functionally and economically.